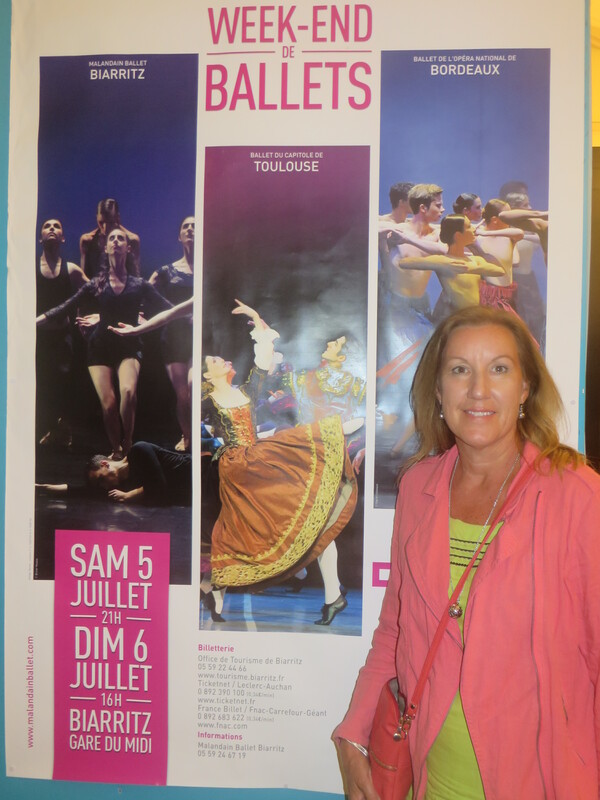 We celebrated Bev’s birthday in style last night at the Ballet in Biarritz! We managed to purchase two of the last tickets available for Saturday night’s performance & with theatre capacity of 1,400, it was close to full! Feeling excited and “French Chic” in the green dress ….. remember the bargain op-shop A$4.50 one?!?! Ha.. We cycled the hills into Biarritz in balmy weather and park them directly opposite the Gare du Midi Theatre with all the other bikes! Yes, we arrived in French style!!!? There’s even time for an aperitif & delicious goats cheese salad in a little café close by! There were three ballet companies on the program including 90 dancers. Biarritz, Toulouse and Bordeaux. It was a very impressive display of classical (Don Quixote) and modern ballet!! 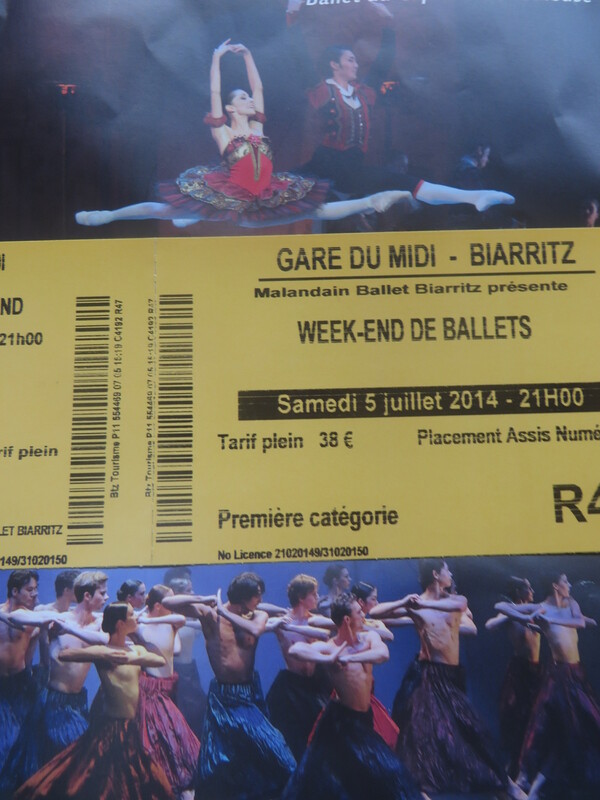 We found it amusing that at the end of each performance the French audience applause goes on & on & on ….. ! Sore hands from clapping!! All this adding to our French cultural experiences. Riding back to Bruce at midnight thru the busy nightlife of Biarritz to Anglet 5kms away was fun! Biarritz and Anglet are just over the Spanish border into south west France! Biarritz is an elegant, attractive, busy seaside city! 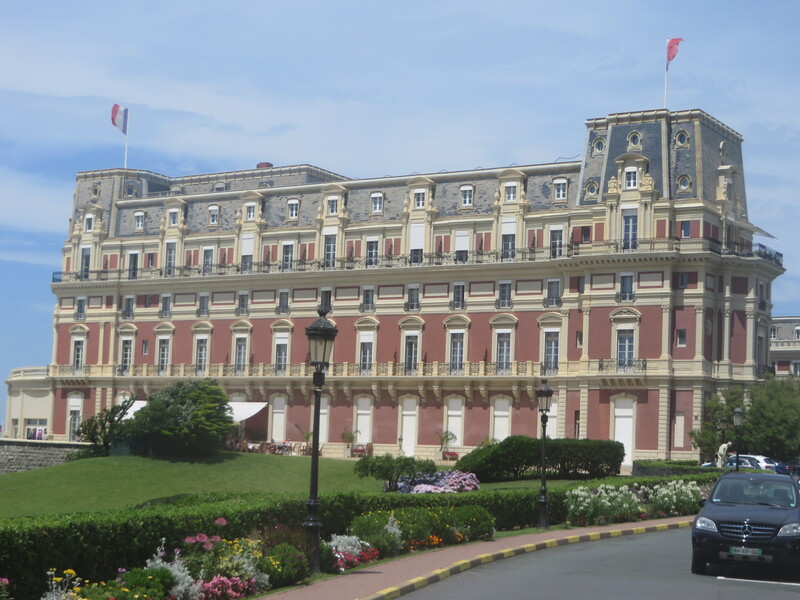 Hotel du Palais looks impressive overlooking the beach. Many thanks for all my birthday wishes!! Heavy rain continues here all day se we will eat in tonight and celebrate in Bruce. 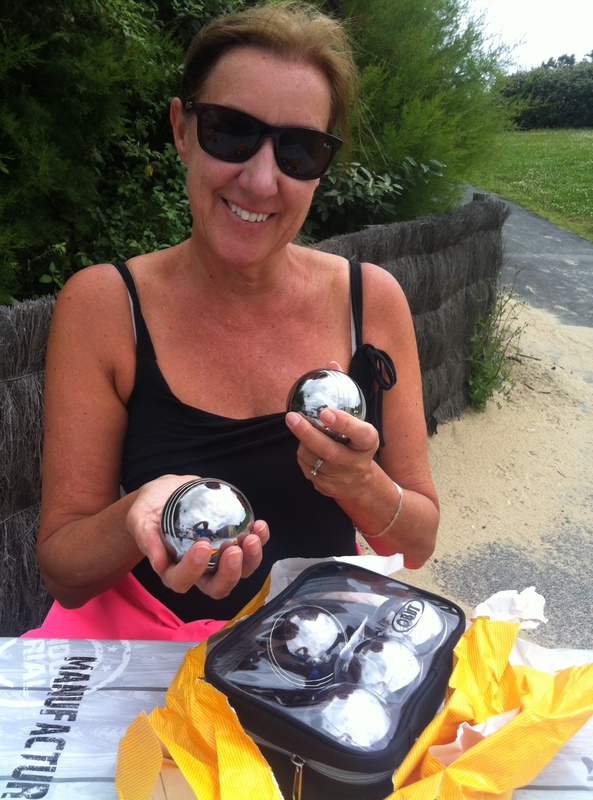 Mark surprised me with what all French women need …. Une petit chien (ie poodle)? No, not possible! 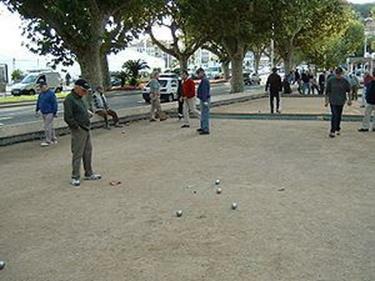 Mmm….yes, a Pétanque set (bowling). He has even promised to play it with me – those that know Mark well will appreciate this is a big ask! Ha! Every now and then, particularly on weekends we find French families and friends in parks playing this in special designated areas! Great fun for young and old (us) & I cant wait to learn this new skill ….. Bring on the sunshine please … this is summer after all!! Memorable celebration of that important event ….well done. Glad you had a great day Bev! Don’t mind at all!! The more the merrier. There is a place you can “subscribe”, then he will get an email whenever there is a new post.